Tired of foreign merchants not shipping internationally? Long lines at the border? Wasting money on double or multiple taxes when purchasing goods from the international brands? At yourpersonalshopper.com, we make the process of shopping and shipping products from the foreign countries easy and affordable, saving you both time and money. You can get almost anything from here and ship it to Curacao through your personal shopper. We can buy from the world famous brands and ship you. 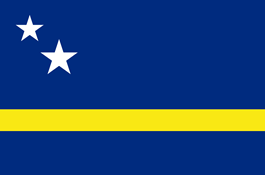 If sellers don’t ship directly to Curacao, you just need to use our virtual shipping address so that you can have the items delivery forwarded to your place. For that service, you just need to register for free on your personal shopper. The YPS worldwide delivery service allows you to shop in peace. The address will be sent to you via email or SMS after you have signed up. The registration is free and you’ll get your virtual shipping addresses immediately. This address will be used in the intermediary shipping from shops to your suite YPS warehouse. And from this address, YPS will ship to Curacao. This is one of the great parcel delivery services not only because it allows you to save on shipping cost with its consolidation and repacking services, but also because of its low-cost shipping service and its Customer support. When you are ordering on the foreign market, use the address as the Shipping Address. Once your purchase has arrived at your virtual address, we will inform you when to receive it at the warehouse and your parcel will then be delivered to your real address. If everything is fine, go ahead and process your shipment release: choose our service if you want to opt for a shipment value protection. Due to the nonstop advancement in the undoubted services of “Your Personal Shopper”, the shipping of your favorite products form one region of Curacao to another region has exclusively become so easy and fast that one should not go for any other expensive and unreliable shipping source for the sake of fulfilling his related concerns. As a consequence, if you really want to get rid of extensive expense in your shipping costs, then must make a contact with YPS to resolve your associated dilemma. So, this is the only source that can provide you with your favorite collections from one area of Curacao to another at your convenient and desirable rates. In addition to this, right after placing an order, you can even avail all your chosen collections in a minimum period of time at the comfortable place of your doorstep. Cpost International is the national post office of Curacao. Cpost International names has its own meaning where C stands for Curacao and ‘International’ stands for Global accessibility of the company. Cpost International are not only constantly improving their services, but also aim to provide qualitative strong and guaranteed logistics and consistent delivery services to the Curacao Consumers. YPS and Cpost Joint Venture allows Curacao Consumers Cross Border Shopping with safety, reliable with lots of discounts and deals that were only available for the consumers of local shopping consumers.